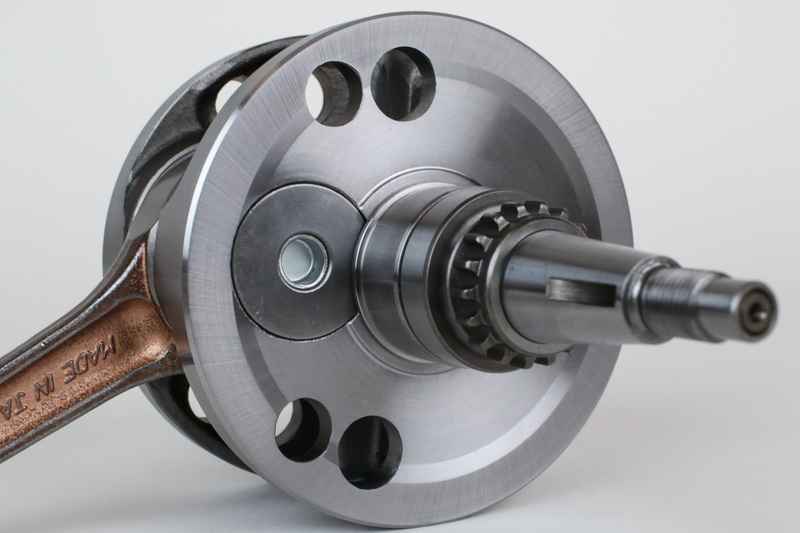 ProX Racing Parts has introduced complete crankshaft assemblies to their line of OEM-quality replacement parts. Complete with reputable Japanese steel connecting rods, ProX crankshafts combine OEM reliability and aftermarket affordability. Watch the video and read on for complete details. Wherever your enthusiasm takes you, whether it be on the motocross track or out discovering new trails, engine wear is an unavoidable consequence of riding and enjoying a dirt bike. 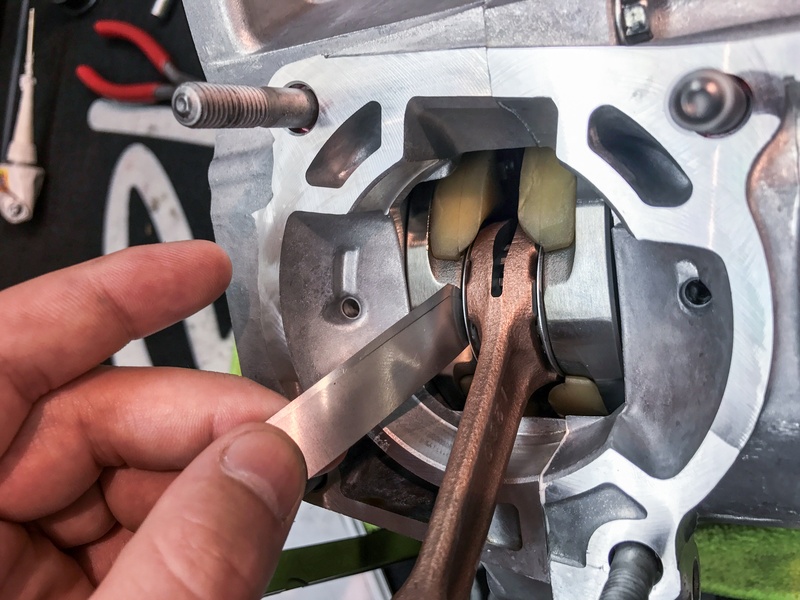 Most of us are familiar with maintenance throughout our dirt bike’s lifespan, but many will cringe at the thought of a crankshaft being a wear item that warrants replacement. Hopefully you're replacing your crankshaft out of proper maintenance and not due to a failure. Whether you follow all suggested maintenance practices or leave a lot to be desired, at some point or another your dirt bike will need a crankshaft. Some riders get lucky, with crankshafts lasting longer than they should, while others remain unlucky, suffering multiple crankshaft failures for one reason or another. In almost all wear item situations for dirt bikes and ATVs, a common problem many riders and racers face is sourcing quality parts without breaking the bank. Purchasing direct OEM (Original Equipment Manufacturer) parts from a dealer is always a trustworthy option, but usually consists of a confusing combination of many different part numbers at high prices. 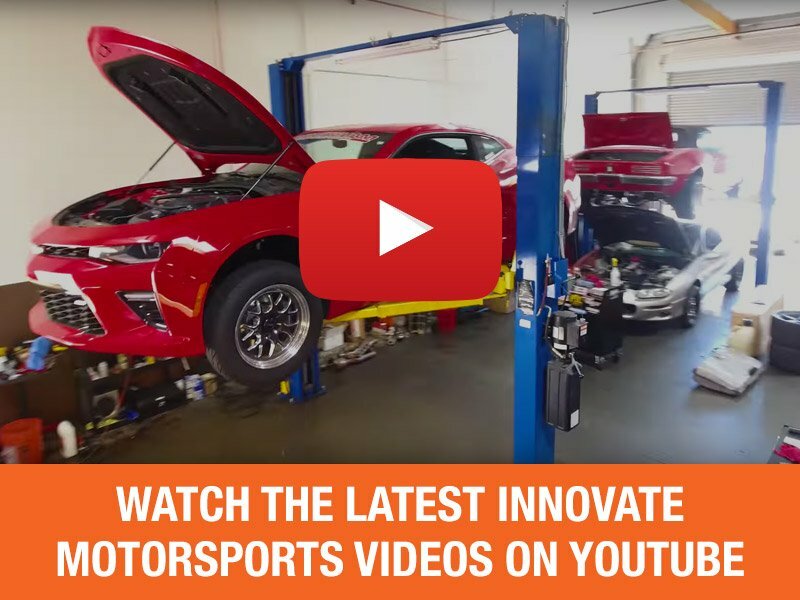 ProX has a long reputation of providing OEM-quality parts at fair prices, ranging from pistons to cables to chains, and everything in between. Looking at the heartbeat of a dirt bike’s engine, the crankshaft, ProX has been offering connecting rod kits complete with OE-manufactured parts and double-forged Japanese steel connecting rods, which have earned a reputation of being a strong and affordable option. However, not everyone has the ability to rebuild their crankshafts, nor do they want to pay someone to rebuild it for them. This is why ProX Racing Parts is now offering complete, drop-in crankshafts for two-stroke and four-stroke dirt bikes. ProX now offers complete crankshaft assemblies, ready to drop in. 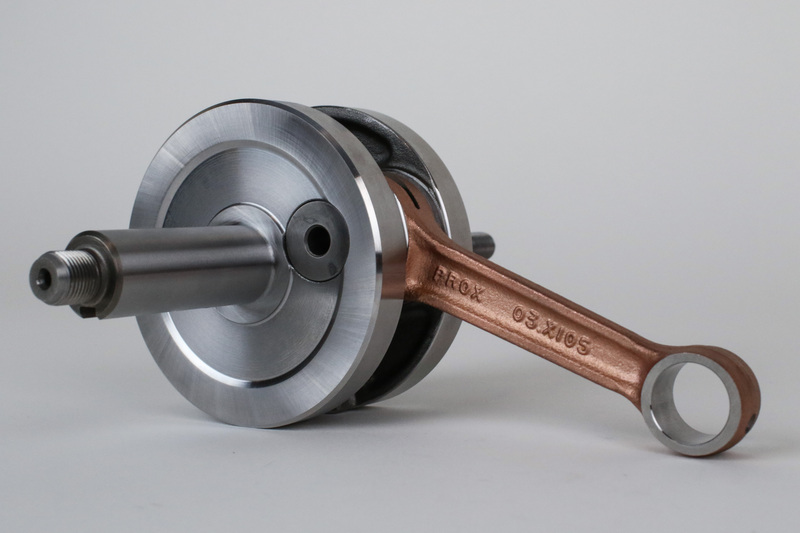 Each ProX crankshaft comes completely assembled with a ProX double-forged, Japanese steel connecting rod. 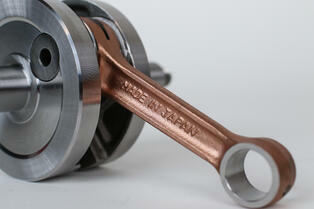 ProX connecting rods are manufactured in the same plants as the parts for the major Japanese motorcycle manufacturers. 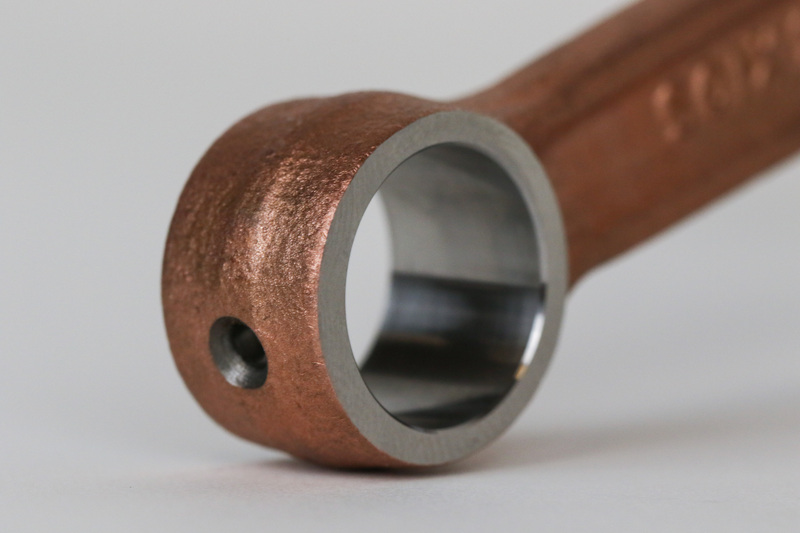 Each connecting rod is barreled and shot peened to smooth out imperfections and edges and blend the material across the rod’s features to help eliminate stress risers. 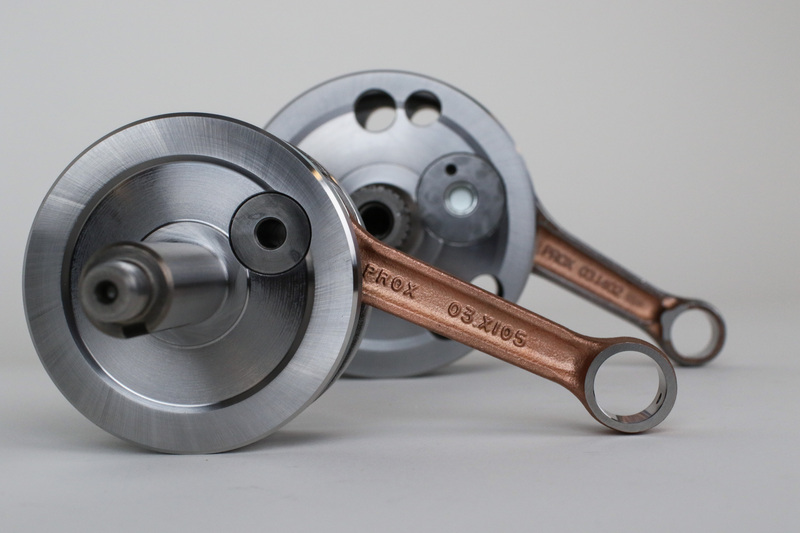 ProX crankshafts are assembled with double-forged, Japanese steel connecting rods that are barreled to increase strength. 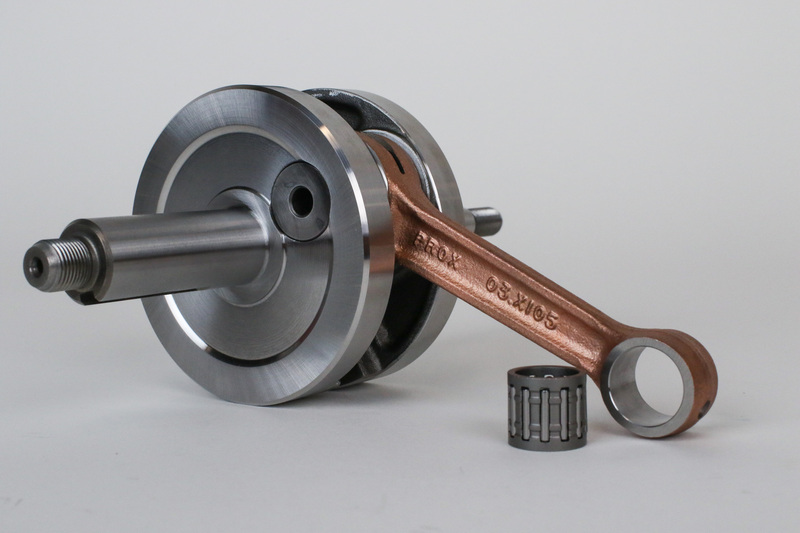 In addition to the connecting rod, ProX crankshafts are assembled with an OEM quality, Japanese big end bearing, crank pin, and thrust washers. Each of these parts are made by OE-suppliers to ensure the quality is consistent throughout the assembly. Housing the connecting rod and its components are ProX crank webs that are precision machined from OEM-quality materials to meet OEM specifications. ProX crankshafts are assembled with Japanese big-end bearings, crank pins, and thrust washers, all manufactured by OEM suppliers. 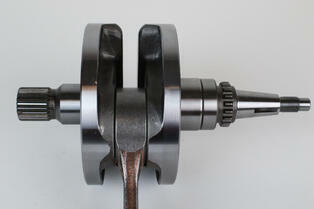 One of the most important characteristics of a crankshaft is being properly balanced. This is extremely important for multiple reasons. A balanced crankshaft will reduce the overall stress translated to your machine’s internal engine components while improving the engine’s performance. If the crankshaft is not balanced, it will cause the motor to vibrate, and will accelerate wear on bottom and top end engine components. First, all ProX crankshafts are precision-balanced after assembly, and then balance is double-checked during quality control to ensure new ProX crankshaft assemblies will deliver smooth power and long engine reliability. Properly balancing a crankshaft is critical to engine performance and longevity. ProX crankshafts are precision-balanced after assembly, then balance is ensured during quality control. Equally as important as balancing, maintaining specified tolerances and clearances throughout the crankshaft assembly is critical to lengthy and well-performing operation. If any crankshaft components are operating outside of tolerance, continued use could potentially cause damage to bearings, webs, and even the cylinder and piston. ProX crankshafts are designed and manufactured to all critical OEM dimensions. After assembly, these dimensions are checked and verified through multiple steps of quality control. 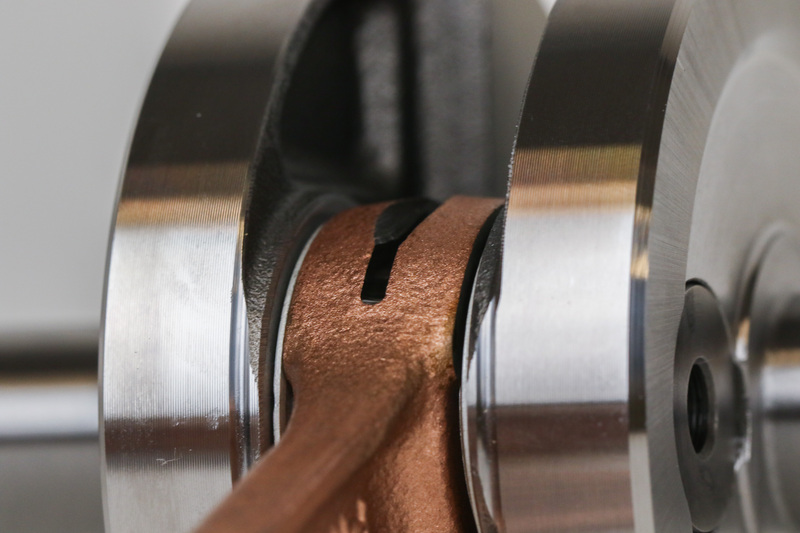 While your top-end is off, you can check connecting rod play with a feeler gauge and compare to the spec in your owner's manual to determine if it's time for a crankshaft or not. 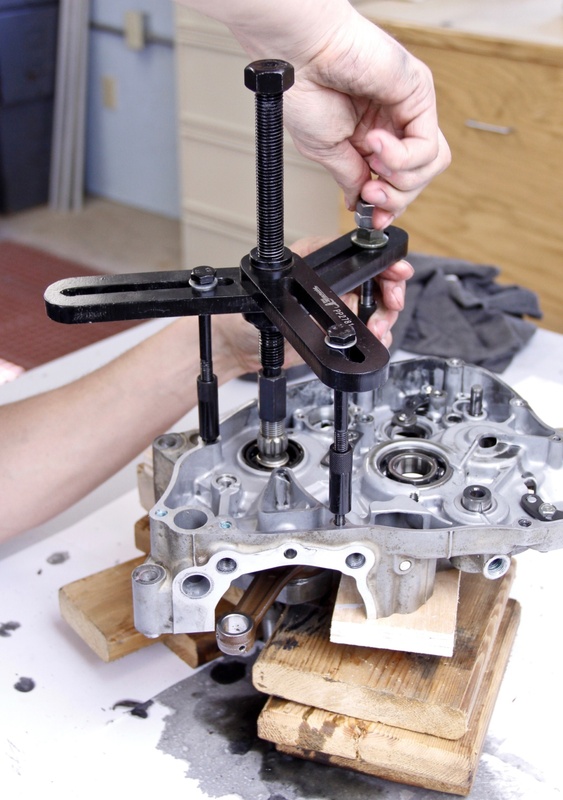 Maintenance tip: If you’re unsure if it’s time to replace your crankshaft or not, you can check your crankshaft for connecting rod play while you have your top end off. If the connecting rod moves too far side-to-side or up and down, that’s a good indication the crankshaft components are worn. Feeler gauges between the thrust washer and crank web can be used to double check your measurement against what’s specified in the owner’s manual. ProX crankshafts come completely assembled in one box, ready to drop in. Each application has a single part number for the corresponding crankshaft, eliminating the need to order multiple part numbers for separate components when purchasing OEM. Two-stroke applications also come with a small-end bearing included with ProX crankshaft assemblies. 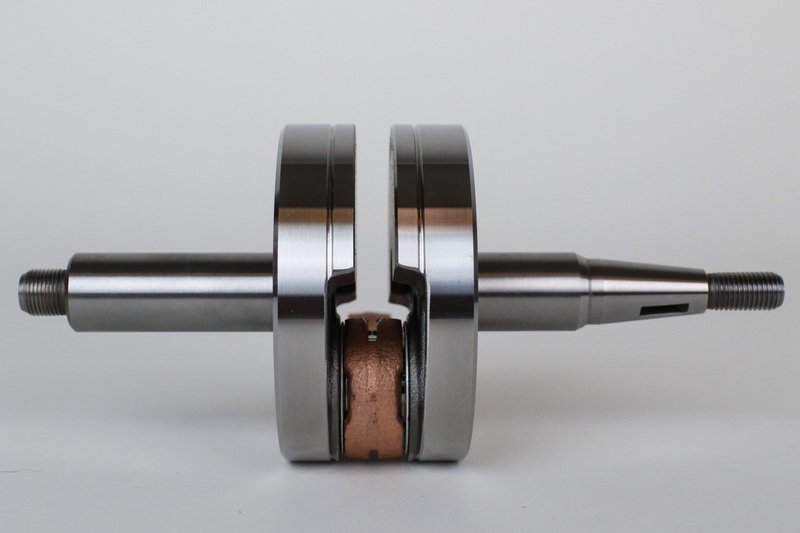 ProX crankshafts for two-stroke applications include an OEM-quality small-end bearing. Tackling an engine rebuild often includes the struggle of finding affordability without sacrificing quality. Ordering OEM parts directly can add up very quickly, frequently extending above and beyond the average budget. ProX made it a point to ensure fair pricing across the crankshaft application list, bridging the gap between trustworthy, OEM quality and attractive, aftermarket pricing. ProX bridges the gap between OEM reliability and aftermarket affordability. On top of that, the value of your dollar goes even further because all ProX crankshaft assemblies are fully rebuildable with ProX or OEM components. If you put a lot of time on a ProX crankshaft assembly and the components are getting worn out, you can choose to replace the parts needed rather than purchase another brand-new assembly. ProX’s offerings such as complete bottom end gasket kits, crankshaft bearing and seal kits, and now complete, drop-in crankshaft assemblies can make bottom-end rebuilds more hassle-free and affordable than many would think possible. 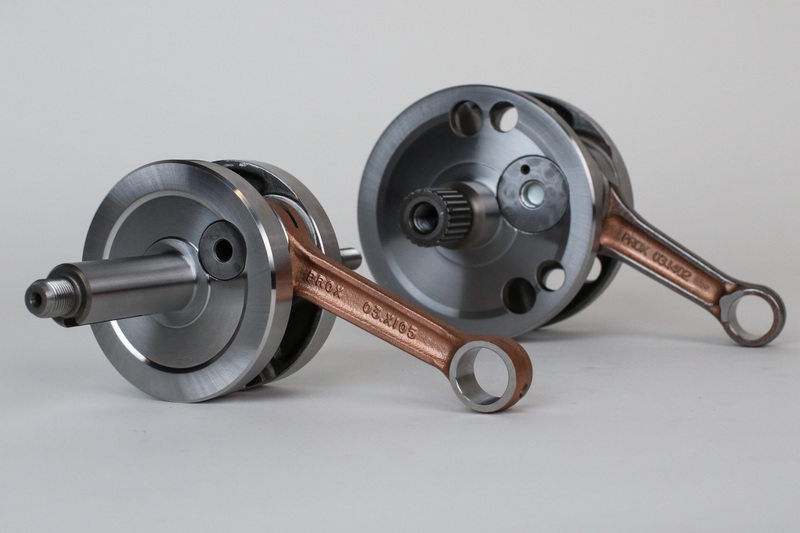 ProX crankshafts are completely rebuildable with ProX connecting rod kits, potentially saving even more money down the road.